Stands are lightweight, easy to set up. 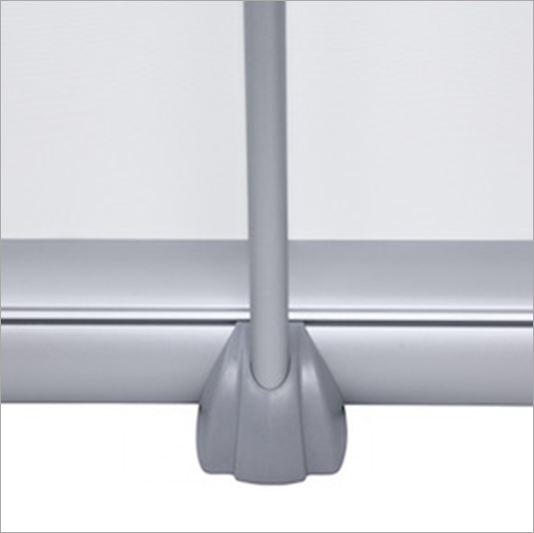 Collapsible poles reach height of 79” and are available in a wide range of widths. 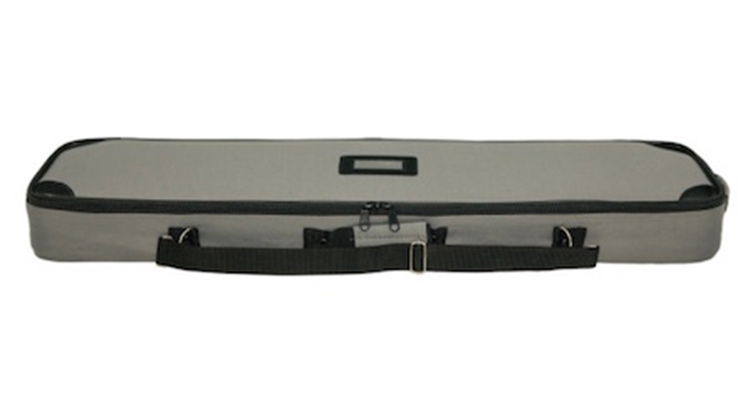 Artwork is protected when not in use by being rolled into the durable aluminum base. 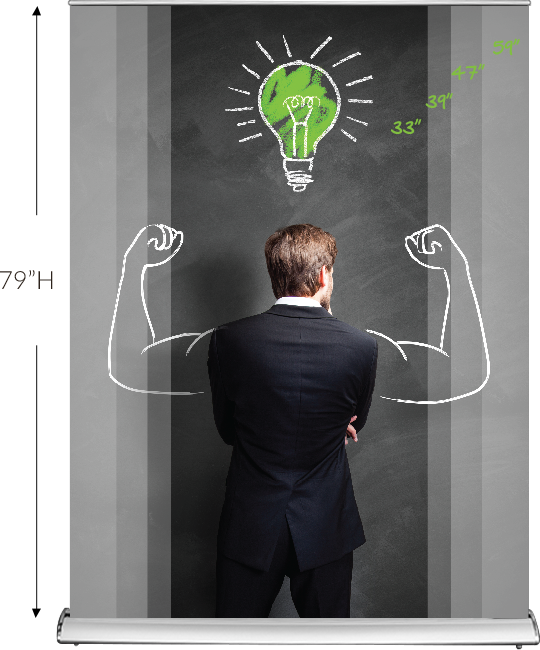 Printed on a high end stay-flat material, your message is sure to stand out from the crowd. DLX31DS is available in a double sided version. Chrome plated end caps provides clean and minimalistic design. 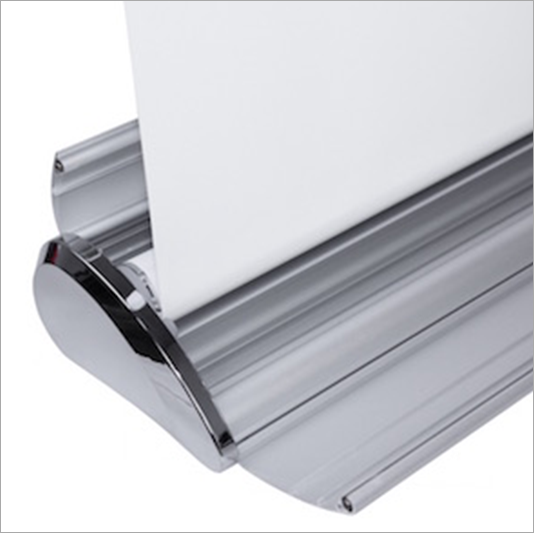 The 2-part aluminum pole slides easily into the Roll Up’s base for a secure fit. 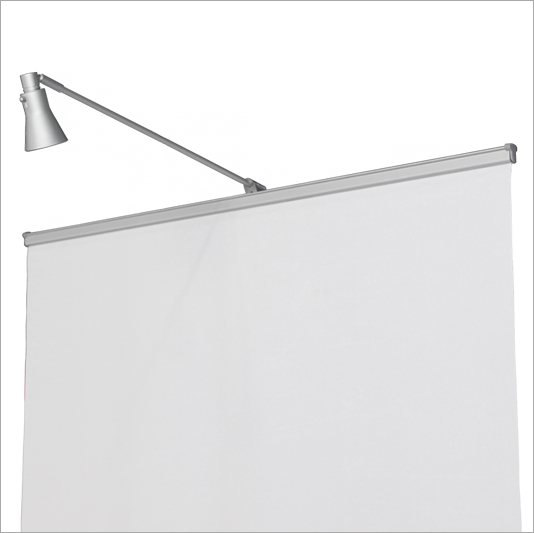 Optional Roll Up light attaches to the height-adjustable support pole and adjusts to the desired angle. 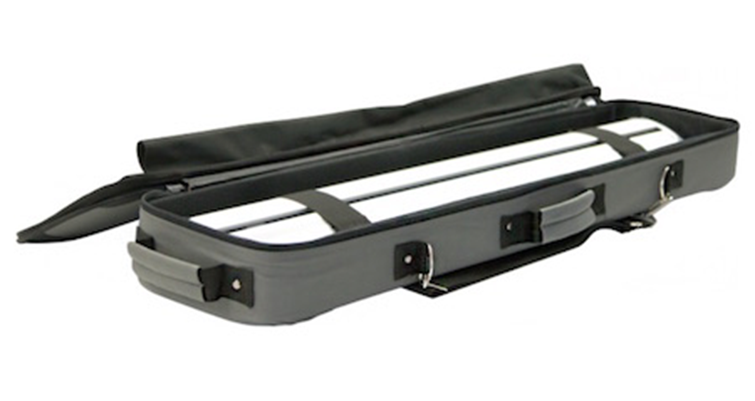 Retractable Banner Stand comes with strong and padded carrying case. 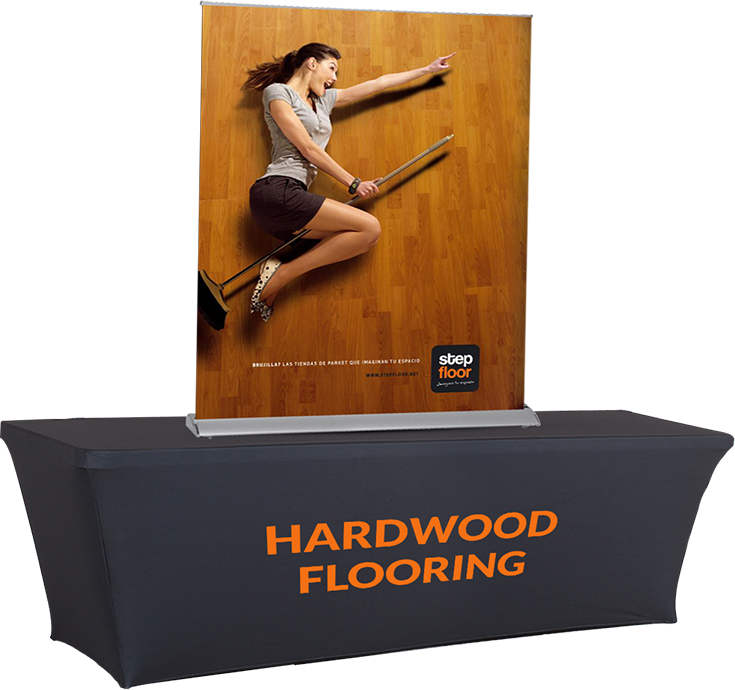 Rectractable Table Top Banner Stands are available in 4 different sizes to match your every need. 33.50" 39.20" 47.50" 59.00" 31"